Nuthatches are curious little birds. 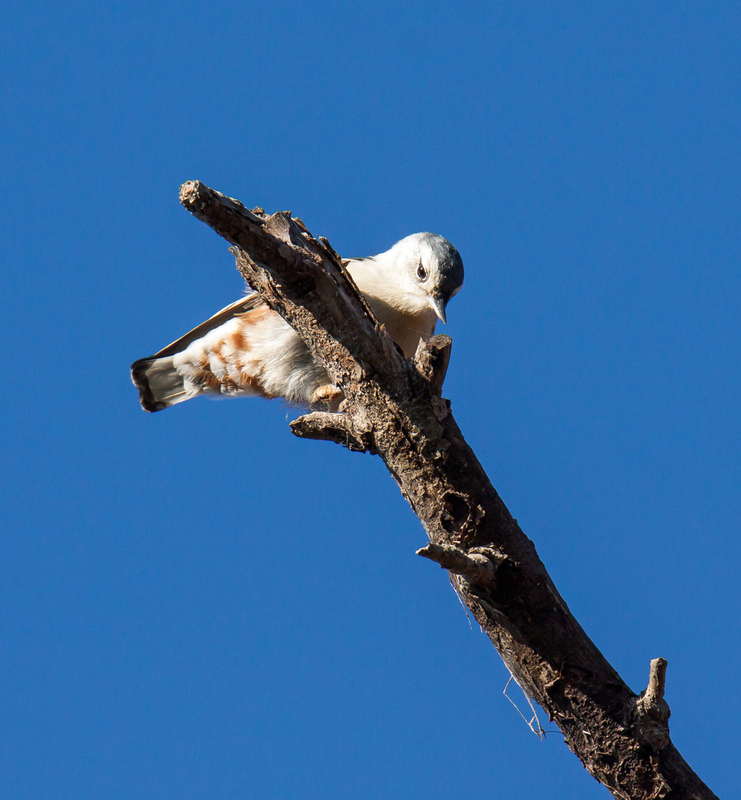 Most of the time that I spot one, it is climbing head first down the trunk of a tree. 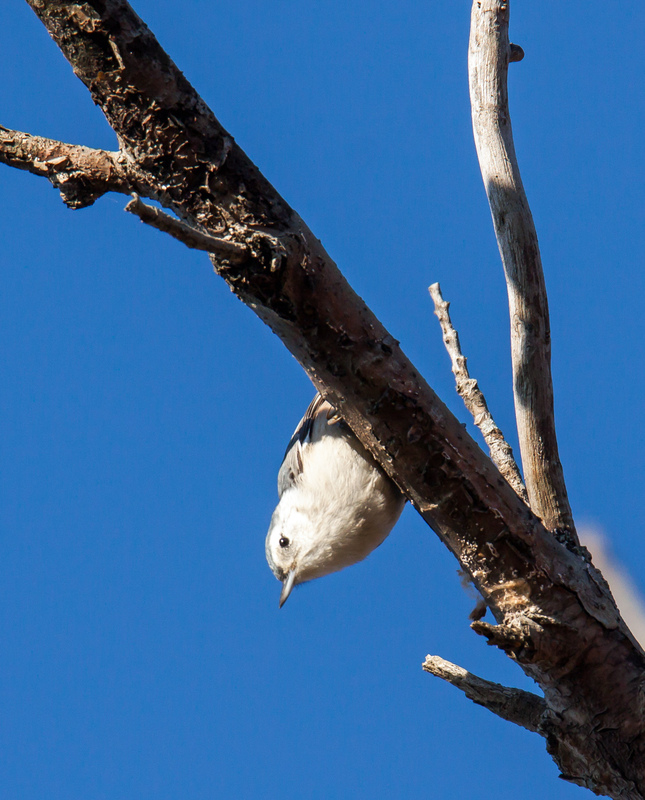 Earlier this week at Occoquan Bay National Wildlife Refuge, however, I spotted a hyperactive White-breasted Nuthatch (Sitta carolinensis) in the upper branches of a tree. 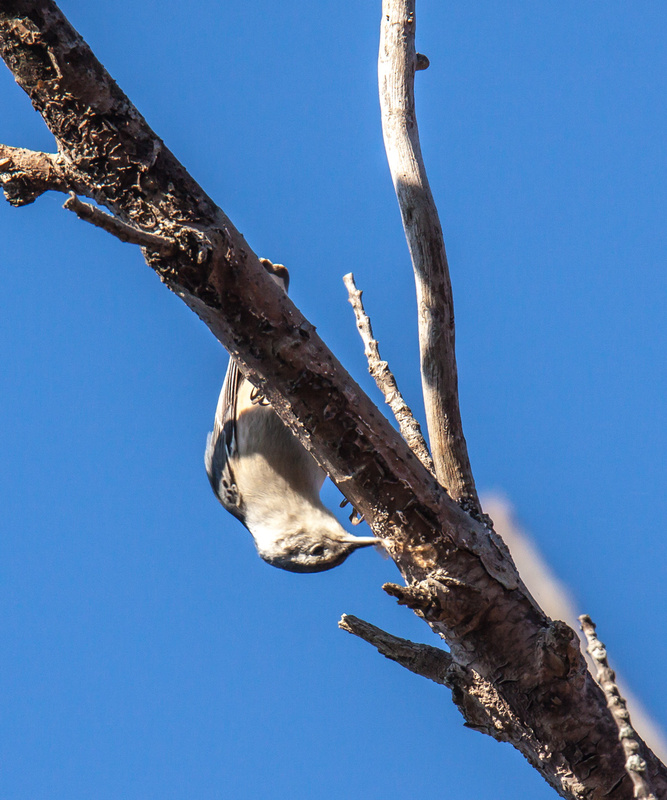 In a series of corkscrewing motions that reminded me of a female gymnast on the uneven parallel bars, the nuthatch made its way up and down and around each of the branches. If I were an Olympic judge, I would award the acrobatic nuthatch a score of 10 for its brilliant performance.